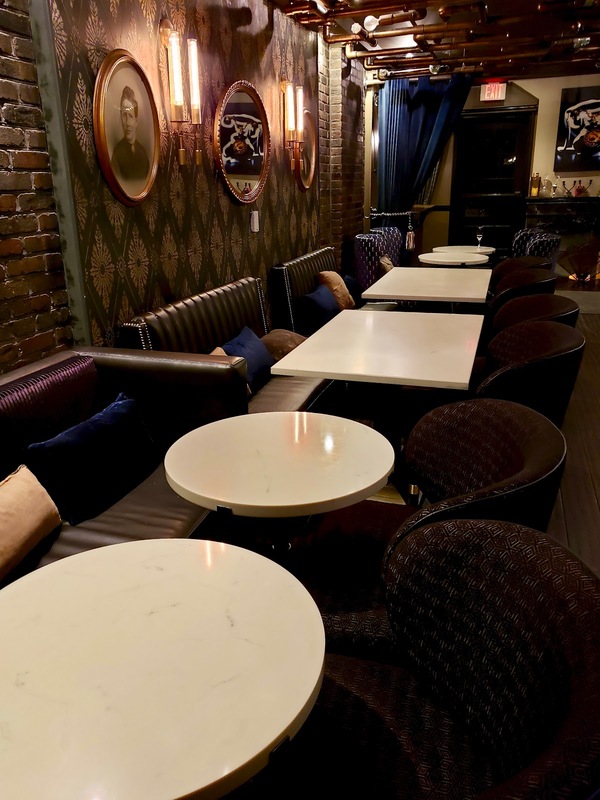 When one goes to a speakeasy, it immediately brings up thoughts of exclusivity and secrecy. 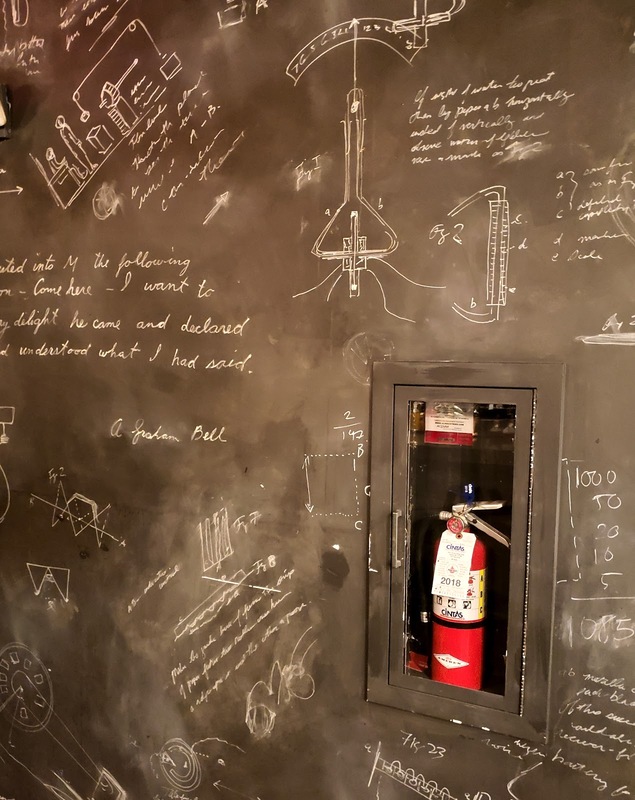 This is what came to my mind when I attended the special re-introduction of The Alex Craft Cocktail Cellar & Speakeasy at The Graham Hotel. 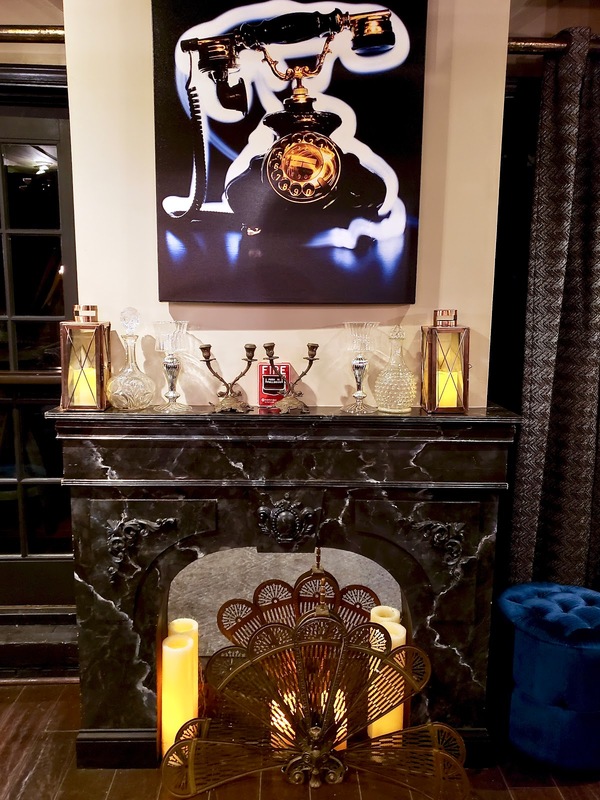 To get inside the speakeasy, you first have to enter the beautiful boutique hotel. There you look for a door which has a keyless entry in which a code must be entered to grant access. See, exclusivity and secrecy. 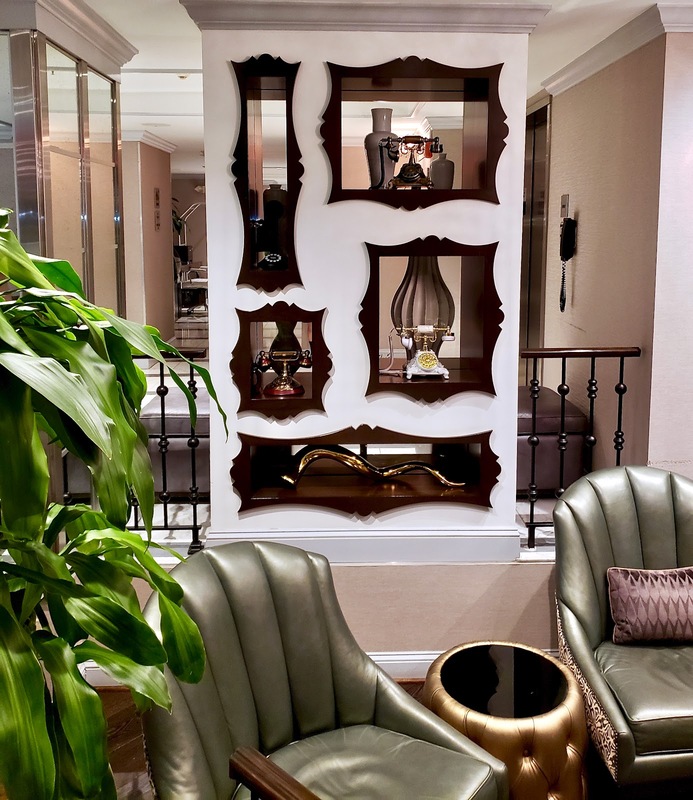 Walking down a flight of stairs, the bar greets you with beautiful luxe lounge sofas, a fireplace, and topnotch decor filled with witty telephone artwork because, as you may already know, The Graham Hotel is name after Alexander Graham Bell, the inventor of the first practical telephone. 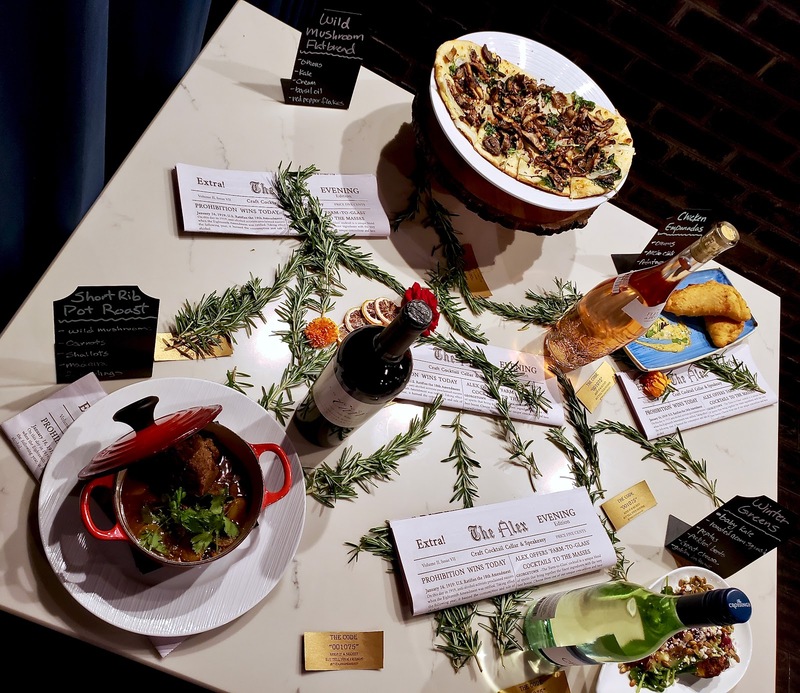 The special re-introduction also included delicious food from Chef Jose Molina and wine tastings from Fleurs de Prairie, The Crossings, and Joseph Carr Napa Valley. The fun didn't end there. Oh, no. We moved the party to the hotel's popular rooftop terrace. 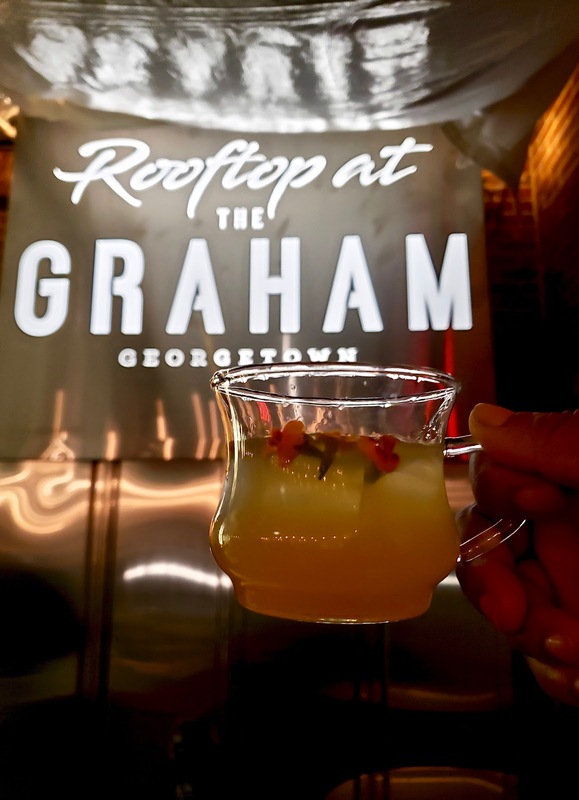 Rooftop at the Graham was one of the very first social rooftops in DC. I remember heading there for their summer silent disco parties years ago. 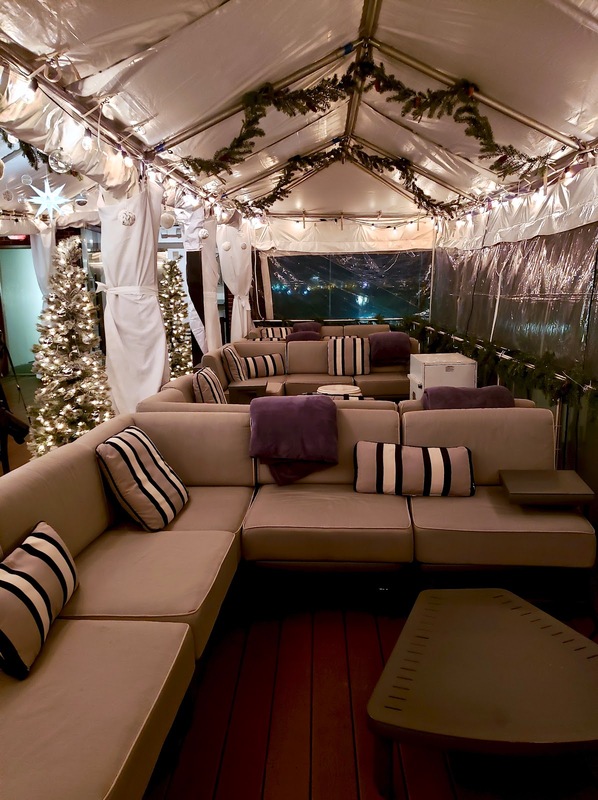 Anywho, the rooftop was fully decorated for the holiday season. We enjoyed more food from the chef, plus drinks from District Made. Finally, the hotel served us some of their signature cocktails. My favorite was The Graham Punch: cardamaro, galliano, orange bitters, agrapart, and fils champagne. It was so good! 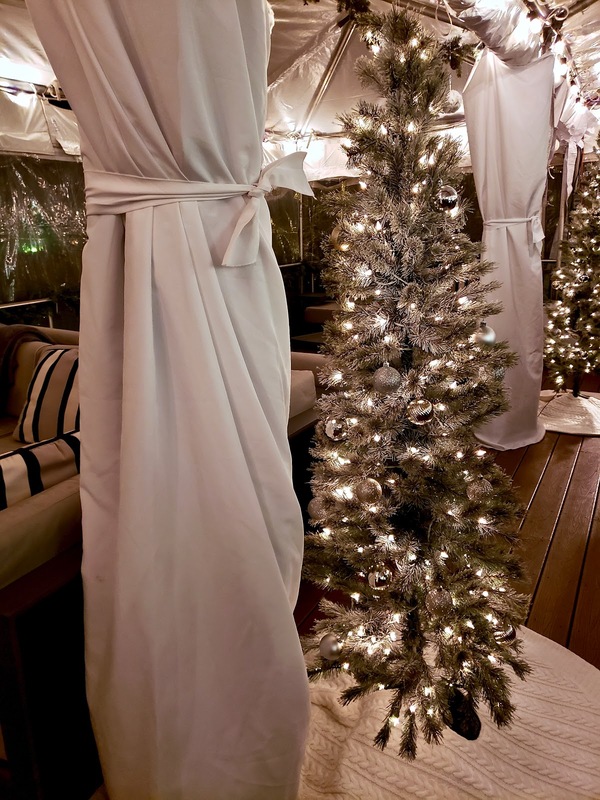 It was definitely a great evening and a great start to the holiday season.